As the second most widely learned language in the world, French is gaining astonishing traction as a global tongue. Considered a top language of travel, culture, and international relations, knowing French can open doors for business people and backpackers alike. With 200 million speakers around the world, learning the "language of love" can be a useful asset whether you plan on reading the French classics at home or traveling to distant nations abroad. Connect with a native, qualified tutor in Noosa. Connect with one of Noosa's native-speaking foreign language tutors and receive a tailor-made course package. 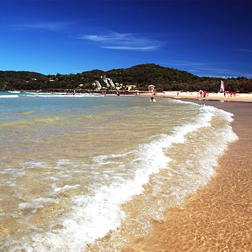 Then contact Language Trainers and we’ll connect you with a tutor in Noosa. 1 in 2 people speak 2 or more languages. Une vielle dame regarde un tableau avec sa petite fille. --Quelle horreur,cette toile, dit-elle . --Euh, mémé , c'est un miroir ! Our professional, native French teachers have taught over 104 hours to more than 340 students. Our general one-on-one courses in Noosa will help students improve their French level quickly and efficiently, whatever their needs. One of the most exciting aspects of our courses is that they are developed entirely around the needs of the students. The fact that we offer our French classes on a One-on-One basis means that you can learn the words and phrases you need in a comfortable and relaxed environment. Our French courses in Noosa are taught on a one-on-one basis and will help you improve your business communication skills immensely. No matter what level you begin at we will soon have you dealing with business introductions comfortably before moving onto other matters. Beginner level students can expect to finish the course with basic telephone French and email skills, as well as a level of survival French, granting them the ability to work in a country where French is the native tongue. Are you looking for a French teacher that adjusts to your schedule and not the other way around?